We know that no one wants to lose a tooth, but sometimes tooth extraction is the best option. If a tooth in severely infected or cannot be restored it may have to be extracted. Dr. Austria, a Dentist in Portland OR, can remove the most difficult teeth and it will be a comfortable experience. Here at Bethany Family Dental, we offer sedation dentistry to help make you comfortable during the procedure. For many, the idea of visiting a dentist can cause enough anxiety to postpone routine visits and avoid taking care of issues when they are small. When fear interferes with proper dental care, it generally leads to larger, more significant & more expensive types of treatment being necessitated. Dr. Austria understands when the fearful patients come to the dentist becuase of pain the idea of treatment can be an overwhelming experience. Intravenous Sedation (IV) is a solution for many apprehensive patients who require dental treatment. Dr. Austria received his training at Oregon Health Science University (OHSU) and is certified with the Oregon State Board and with the American Dental Association. Whether your tooth extraction is a simple or a complex procedure we can meet you needs, we’ll work with you to develop a treatment plan that fully addresses any worries that you may have. Our philosophy is that an educated and informed patient has substantially less anxiety about the procedure, and we always make sure to include you in the decision making process. When it comes to oral surgery, there are many reasons you may need it. 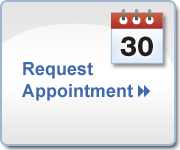 If you want a consultation with the doctor please make an appointment and see us today. ← Should You Remove Your Mercury-Silver Dental Fillings?